History: The life of Jamie Madrox is relatively obscure, both in terms of detail and scope. On the surface, there are few aspects of his life that are all that remarkable. He was born to seemingly normal parents in an apparently normal environment. However, a closer look reveals a life with many secrets. Jamie was born in New York City to a middle-class family. He was the second of three children and for the most part, his early life was fairly normal. He attended a well-regarded private school, achieved above-average grades, and was fairly active in sports. While he didn’t know it at the time, this comfortable life was the result of a very secretive yet very successful career that his parents kept from them. His mother and father were both special agents for the FBI and later the ATF. They specialized in tracking, containing, and disrupting the illegal shipment of so-called exotic imports. The nature of what these imports entailed is not clear, but it was this life that would have a profound impact on the Madrox family. The extent of his parents’ work sparked a curiosity in Jamie that neither one of his siblings shared. It became taboo within the family to discuss such work. His parents were always tactful about what they did. When one would go off on assignment, the other would stay behind with the family. They would rarely conduct missions together, but when they did coordinate it was usually for something important. Young Jamie noticed this early on and developed a fascination with their work. Their role in law enforcement sparked in interest in law. Their dealings with these exotic imports as they called them sparked an interest in chemistry and physics as well. By the time he was in high school, he seemed poised to follow in his parents’ footsteps. Then an ill-fated mission coupled with a mistake on his parents’ part changed the course of his life. During one fateful mission when Jamie was 17, his mother recovered a series of rare chemical isotopes from an unknown criminal organization. The isotopes had been smuggled into Canada where the ATF and Canadian authorities confiscated them. After securing the material, Jamie’s mother was entrusted with a small amount to take back to New York City for analysis in a lab. But before she took it to the lab, she brought it home so her husband could look at it. He suspected it was part of something far more dangerous than what the authorities discovered. While it was in their possession, Jamie returned home early from school. He caught both his parents looking at it on their kitchen table. He remained unnoticed until they hid it away, never letting them know he was there. From there, his curiosity got the better of him. After his parents stashed away the isotope, Jamie snuck into their room and retrieved it from a special containment case. He discovered that the isotope gave off low-level radiation, which was relatively harmless to humans. However, this type of radiation had an effect on mutant DNA, which at the time he didn’t know he possessed. After only a few minutes of exposure, Jamie began to feel nauseous and disoriented. He stumbled around his parents’ room and upon bumping into a dresser, he created his first duplicate. At first he thought it was just the exposure to the isotope affecting his mind. He would later discover that the isotope triggered a mutant ability that allowed him to form perfect duplicates of himself. From his duplicates, he could absorb their collective experiences and guide them as he pleased. It was a startling revelation and one he tried to keep secret from his family. At the same time, he sought to exploit it. Now more curious than ever, Jamie started using his powers to create duplicates that would follow his parents while he appeared to carry on his life normally. He started following them in secret to the labs where the isotopes were contained. He learned that the isotope was a rare material that had been developed on Genosha, which was then being run by Cameron Hodge. Such materials were rare and valuable on the black market. Both his parents would later be assigned to a special Genosha division and Jamie made sure he was along for the ride. Over the next few years, Jamie used his duplicates to follow his parents. He would elaborately disguise himself or his duplicates to track them as they worked. As far as they knew, he was attending college at NYU and had a perfect attendance record. He was able to skillfully maintain his cover for a good long while, but once again his curiosity got the better of him. It started with an undercover sting operation. The plan was to lure a number of dealers that specialized in Genosha imports into a secret auction. Jamie’s father was to be one of the buyers. Jamie used his dupes to attend the auction as well, which drew representatives from some of the most well-known criminal organizations in the world. The auction began normally with buyers bidding on what was said to be a prototype nerve gas from Hodge’s mutant research labs. Then when Jamie’s father outbid an irate buyer, the buyer tried to attack him. Jamie, acting impulsively, stopped him. This disrupted the auction and forced the authorities to abandon the sting. While Jamie’s duplicate was able to disappear before his cover was blown, the buyer slipped a tracking device on his father. Later on when Jamie met up with his parents, they tried to hide what had happened. Knowing that he messed up, he was prepared to tell his parents the truth. Then in an unexpected attack, his family was attacked by agents of the Hand. The skilled assassins, likely hired by the buyer, killed Jamie’s father and both his siblings. Jamie was able to use his duplicates to save his mother, but the damage had been done. Jamie blew both his own cover and that of his parents. After the attack by the Hand, much of Jamie’s family was forced into hiding. It isn’t known where his mother or his various relatives went. They were likely put into a witness protection program and given new identities. However, Jamie Madrox refused to go into hiding. Whether it was out of guilt or duty, he vowed to do something better with his powers instead of run. He attempted to join the authorities, but his mutant status made that impossible. For a time, he faded into complete obscurity. Years went by and not much is known about what he did during those years. At age 26, he re-emerged after meeting up with a mysterious woman named Tessa. She introduced him to Lucas Bishop with whom she had been forging plans for a new mutant community. That community would need security and having seen the fruits of anti-mutant hardware, Jamie agreed to join the Neighborhood Watch. Over the next two years he utilized his sizable manpower to help build the all-mutant community, District X. He remains well-regarded figure within the community and any additional activities he may conduct on the side are currently unknown. 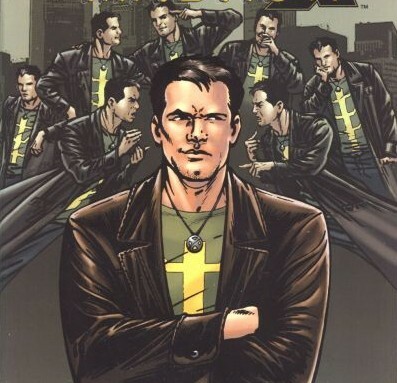 Character Breakdown: For Jamie Madrox, curiosity is the trait that most affected his life. While not his most defining characteristic, it certainly guided his major decisions. Unlike his siblings, he couldn’t ignore the work of his parents. He seemed completely adverse to the notion that ignorance is bliss and this burning desire to know helps feed an adventurous mentality that leads him to taking greater risks. The rewards from those risks led to a cycle of greater risk-taking that eventually culminated in the death of his father. This cycle only appears to stabilize when he’s in an environment where his role is more defined such as District X. In some ways his powers helped fuel the curiosity that drove him. If he were a normal human, he never would have been able to feed that curiosity in the first place. He wouldn’t have been able to follow his parents’ work and keep it a secret for as long as he did. It may have also influenced the scope in which he sees a situation. By having multiple duplicates and being able to see the world through many sets of eyes, his perspective is much wider and as a result his desire for answers is greater. What appears to limit that perspective is an innate desire for justice. Having parents that specialized in law enforcement, Jamie seems to have a strong appreciation for law and order. He sees a world of law-breakers and innocents. His manpower grants him the ability to both seek the law-breakers and protect the innocent. This mentality was clearly ingrained after the death of his father and siblings. He has since adopted a more proactive approach as a major figure in the Neighborhood Watch. As to whether his perspective or curiosity will affect this role remains unclear.